Finding out that you’re expecting twins is a whirlwind of emotions, isn’t it? You’re excited about welcoming two babies but anxious about how to pull it off. You feel giddy at the thought of being a twin mom, but also completely overwhelmed with what you have to do to prepare for their arrival. As you’re starting to realize, a twin pregnancy isn’t anything like a singleton one. It’s not just about having another baby in your belly—it’s a whole new world, enough to make any mom feel overwhelmed. And that’s why I created the Expecting Twins Guide and Workbook. No more confusion or wondering how to move forward with your twin pregnancy. Now you have the resource to help you feel better prepared during the months ahead. 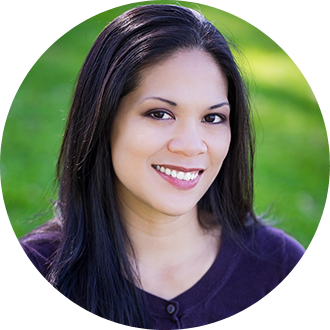 I’m the blogger behind the parenting blog, Sleeping Should Be Easy, and creator of the Expecting Twins Guide and Workbook. And I’ll be the first to admit: I was freaking out at the doctor’s appointment. Behind the smiles and feigned joy brewed a mixture of emotions. I had no idea how my body would carry two babies. I didn’t know how we’d afford twins, much less care for them. I started Googling twin bellies, then threw my phone across the room at what I saw (tip: don’t Google anything when you’re worried!). With my eldest, I already knew how tough it was to care for one baby, so trying to wrap my head around caring for two scared the life out of me. How do you breastfeed them at the same time? What do you do if they’re both crying? How do you hold two babies to sleep? It was enough to send me panicking. So… I cried every day of that first week—then felt guilty at how “ungrateful” I was. After all, I had two babies, when many struggle to conceive even one. I felt horrible that I wasn’t ecstatic every minute, that I was already dreading the months looming ahead. A big reason? I didn’t know anything about having twins. I didn’t know a single person in real life who had twins, and the few resources I found scared me even more. All I heard were complications I might have and how difficult having twins would be. Not exactly how I thought I’d start the pregnancy off. Plus, no one else seemed to understand just how exhausting it was to be pregnant with twins. It seemed silly to complain about back pain at nine weeks or why I couldn’t walk around the block once, even to my fellow mom friends. The resources you find for singletons sometimes just don’t or can’t apply to twins. My twin pregnancy challenged me in ways I never thought possible, but I know that if I could get through it, so can you. Throughout my pregnancy, I researched, read and, down the line, wrote and created the ultimate guide for expecting twin moms. I wanted to share my best tips as a fellow mom, someone who knew what it’s like to be in your shoes. 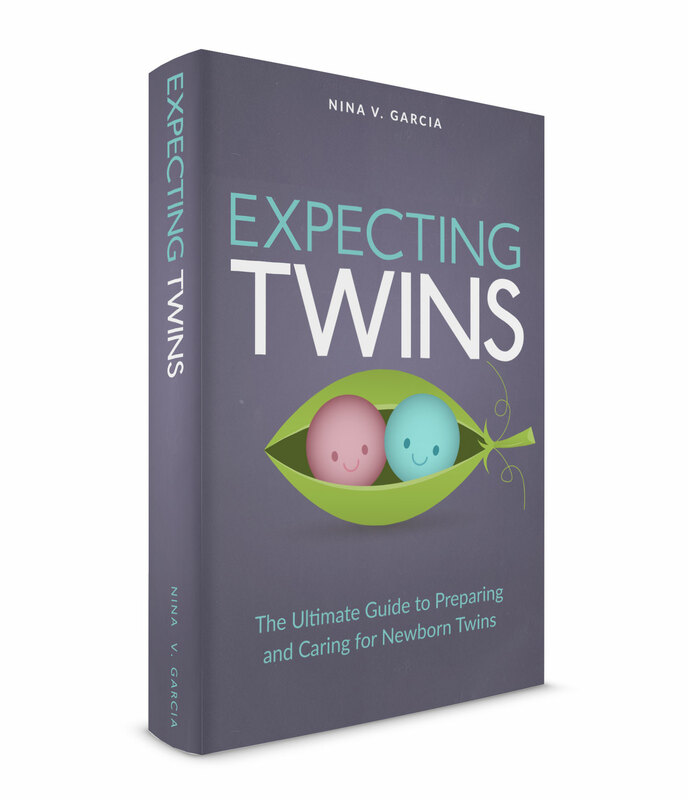 The Expecting Twins Guide and Workbook have now helped many twin parents feel better prepared to welcome their babies home. It’s for the mom who has no idea where to start, and wants to get her hands on anything and everything related to her twin pregnancy. I also share not just my experience, but stories and tips from other twin parents I’ve met along the way. Through my blog and business, I’ve been able to listen and ask for feedback from your fellow twin parents, giving you a well-rounded peek into life with twins. With the guide, you’ll get a realistic, mom-to-mom guide about what to expect during your twin pregnancy. One thing’s for sure: You won’t feel lost anymore, and definitely not alone. Sometimes we need a little hand-holding and guidance along the way to get through these times—someone who can relate to the struggles and joys of being a twin mom. 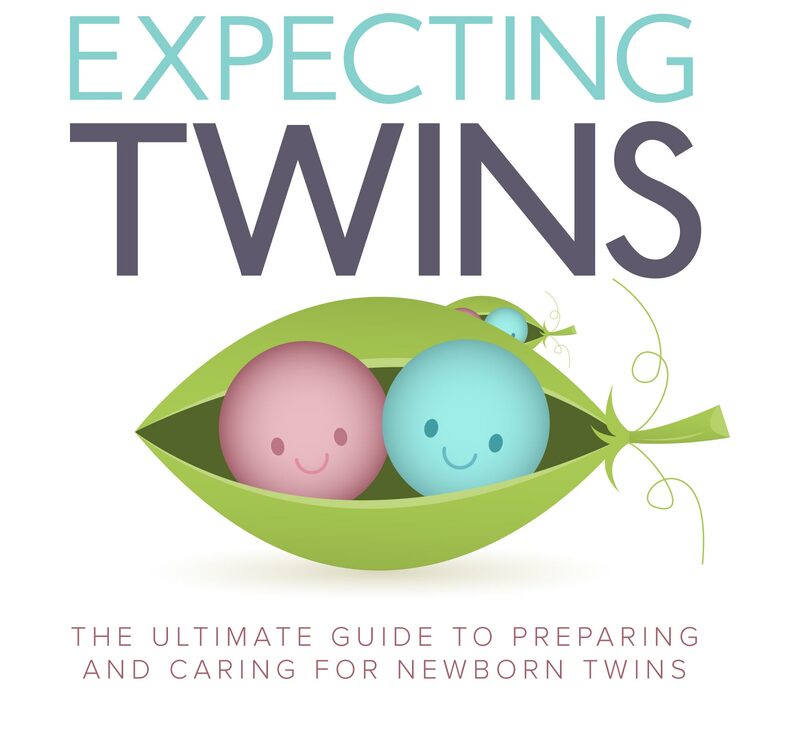 The Expecting Twins Guide will help you bring the babies home feeling better prepared and much more confident than you ever thought possible. Learn crucial tips to have a healthy twin pregnancy, discover the questions you need to ask your doctor and understand the different types of twin pregnancies. Learn how to beat the high costs of raising twins, master the 4 financial strategies to prepare for twins and find the right child care for you and your family. Get ready for maternity leave, manage the exhaustion of your pregnancy during work and learn when to stop working. Establish the routines to make your days smoother, discover effective techniques to put your twins to sleep and find different ways to feed your babies, from breastfeeding to bottle-feeding to pumping. Find time to balance all your children's needs fairly, foster a team mentality between you and your partner and determine the best ways for others to help once the twins arrive. Get a comprehensive cheat sheet of twin baby registry must-haves, discover the essentials you need after giving birth and stock up on household items before the twins arrive. Understand what labor is like delivering your twins, prepare your home for life with twins and learn what happens after the twins are born and how to survive a NICU stay. Learn 4 effective steps to stop worrying and start being proactive, nurture a positive attitude, even when times are tough and get the mental pep talk to feel reassured and confident. Get instant access to printables, checklists, cheat sheets and all those goodies to make preparing for your twins even more streamlined and organized! Who is the Expecting Twins Guide for? The guide is for you if you’re in the early to mid stages of your pregnancy and want to hear from fellow twin moms about real and honest advice in a supportive way. 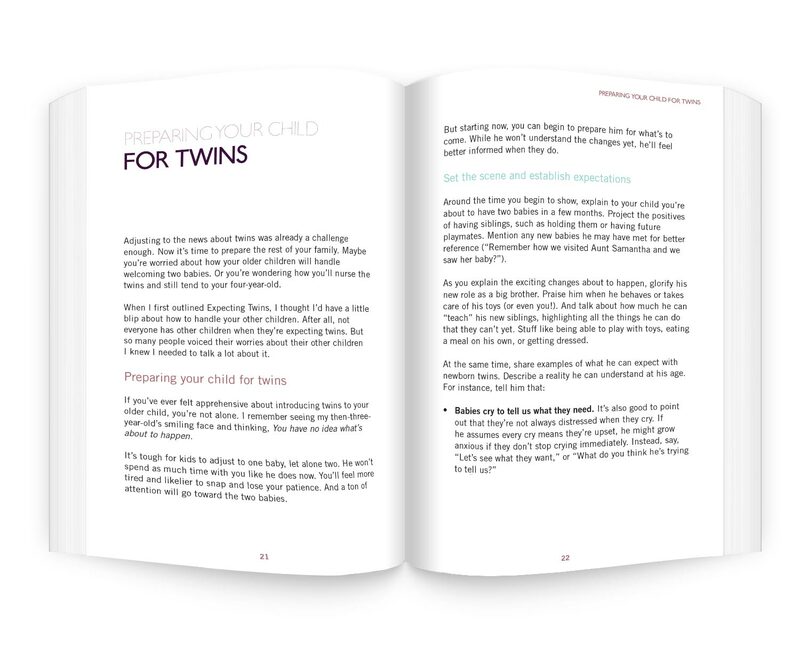 How is the Expecting Twins Guide and Workbook different from your blog? The guide and workbook are completely separate from the blog. 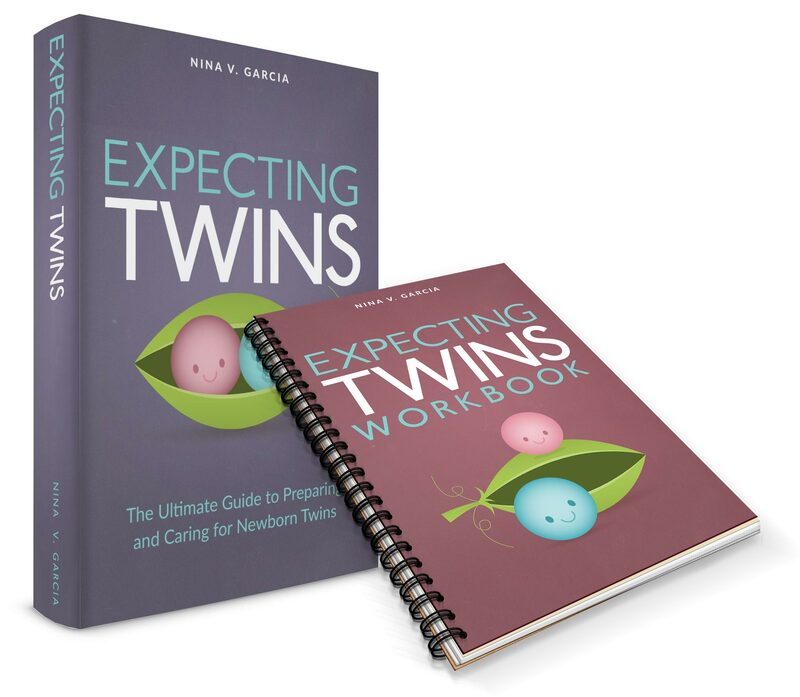 While the blog covers a few topics about expecting twins, the guide and workbook go in depth into the entire process, far more than any blog article can do. 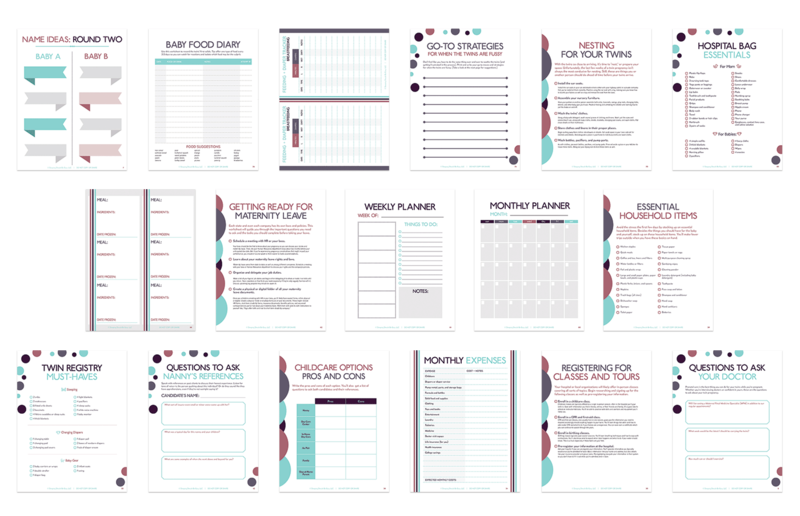 The workbook also gives you tons of printables and checklists that aren’t available on the blog. How is the workbook different from the guide? The guide is an ebook you read, while the workbook contains worksheets, checklists and information to print and write on. Think of the guide as what you can learn, and the workbook as ways to get organized. How do I know if this is for me? What makes the Expecting Twins Guide different? Everything! While there are a ton of baby books out there, you don’t always get a whole lot of resources when it comes to twins, and not from a realistic, “fellow mom” point of view. And even then, the guide and workbook will cover topics you don’t usually find elsewhere. Instead of paying HUNDREDS of dollars for a private class, you can get everything you need in these resources for a FRACTION of the price. And ask yourself this: Have you fully considered how hectic life would be if you had to prepare and care for your twins AND figure things out at the same time? Twin life is hard enough as it is—don’t make it worse by entering it completely unprepared. Will this take a long time to read through? Nope, not at all. The guide and workbook are chock-full of tips and useful information, but written in an easy-to-read format. Plus, they’re divided into sections, and even within those, they’re further divided into short chapters. This way, you can scan the guide and workbook and read only the chapters or print the sections you need in that moment. Is this a physical book that will be mailed to me? No—this is an ebook in a PDF format that you can download immediately and open on any computer. No special e-readers or apps necessary. In a few short weeks or months, you’re going to welcome your twins home. Some people can simply wing it and go with the flow. But if you’re like me, you need the guidance, structure and planning to know what to do and feel better prepared. Imagine how much more confident you’ll feel welcoming the twins home, knowing you’ve covered all you needed to. That you’ve checked off all your important tasks, and that you can begin your life as a twin mom without the stress and overwhelm that can come up unexpectedly. Take the steps NOW to make your pregnancy—and the newborn stage with twins—much easier and more carefree. I want you to feel confident that you’re getting the best tips, strategies, and resources that will help your prepare and care for your newborn twins. 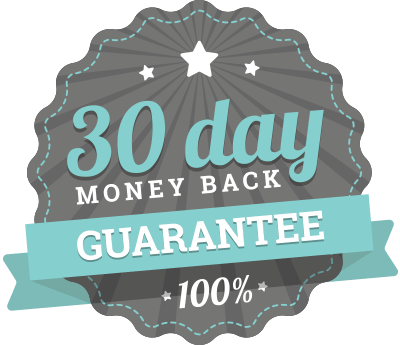 If you’re not convinced of the incredible value found in Expecting Twins, email me within 30 days of purchase and you will get a full, no questions asked, same-day refund. Click one of the “Buy It Now” buttons above. You’ll get an email with a link to download the ebook/workbook.